Stick Shift/Manual Transmission Lessons at Foothill Driving School in Folsom, El Dorado Hills, Granite Bay, Fair Oaks, Orangevale and Gold River! Why beat up your vehicle? Use ours! Teaching stick shift driving in your own vehicle can cause damage to your clutch and transmission that can be very expensive to fix. By using our car for stick shift lessons, you get all of those kinks worked out without damage to your own car! Do I really need to learn this? Stick shift driving can be a life skill that you fall back on for years to come. Even if you don't have a manual transmission car now, you may need these skills in the future. What if you need to borrow a friend's car and it's a stick? Or you get a job as a valet or delivery driver? What if you found a great deal on a sports car but you don't even know how to drive it? Our professional stick shift instructors can teach you in a hurry! Your friend or girlfriend could teach you this stuff, right? But would you still be friends when it was over? New drivers can be very hard on manual transmission vehicles. And people generally get very defensive when it comes to their cars! Our professionals have taught over 20000 driving lessons combined, so we have many teaching techniques and drills that can get you going in a hurry, with no strained friendships!! What will my stick shift lesson include? In your 90 minute stick shift lesson we will teach you the mechanics of how a manual transmission works. 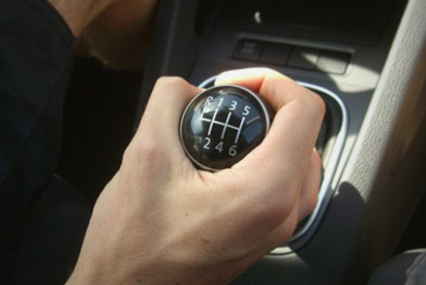 We will teach you how to shift properly and to master that tricky and delicate balance between clutch and accelerator. You will practice downshifting, shifting through city traffic, getting up to speed quickly for freeway onramps, managing turns, signaling, etc. while shifting, and starting on hills. And much more! When we are finished you will be very familiar with how to drive a stick shift vehicle and comfortable doing it. How good will I be when it's over? Of course all students are different, but we get very good results. After one lesson, students usually know how it all works, but may still be a little awkward with it. After a 2nd lesson students are really ready to go with it! Where are the stick shift lessons done? What do I need to know before the lesson? These lessons are not for beginning drivers. You must have a valid driver license or permit. You must know how to control the vehicle and be a competent driver prior to learning stick shift. Permit drivers must have had their permits and be practice driving for at least 4 months before we can schedule these lessons.